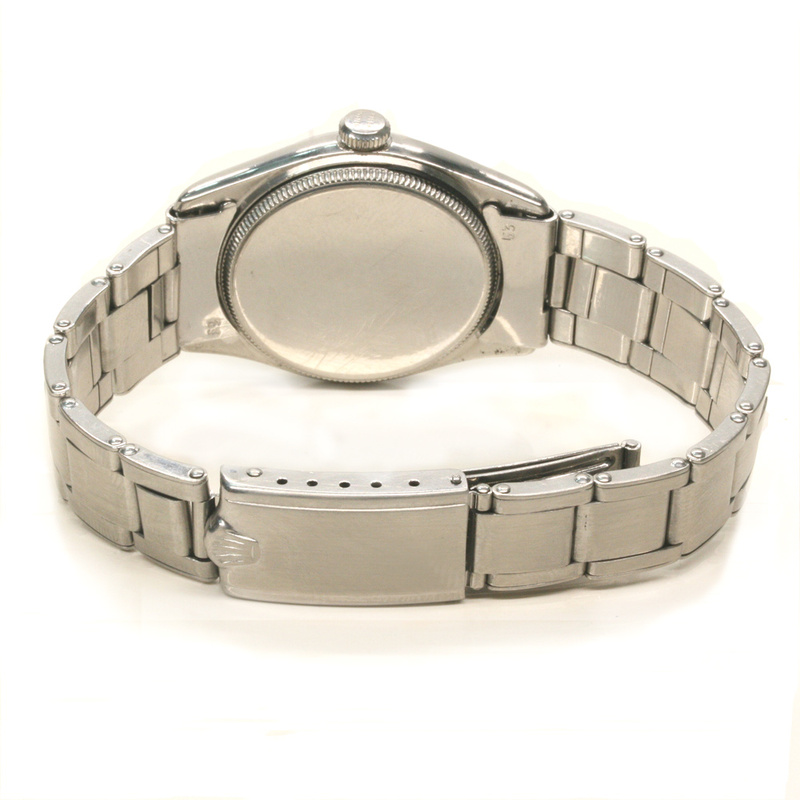 Product code: ES6379 Categories: Sold Items, Sold Rolex Watches. Rolex are without a doubt one of the most famous watch companies in the world, and here is a great looking and quite rare vintage Rolex Royal reference 4444. Dating from 1941 this Rolex Royal is all original and comes complete not only with its original dial bit original rivet style Rolex band that is still in superb condition. The dial has achieved such a wonderful patina and aged so well and has the combination of index markers and Roman numerals. 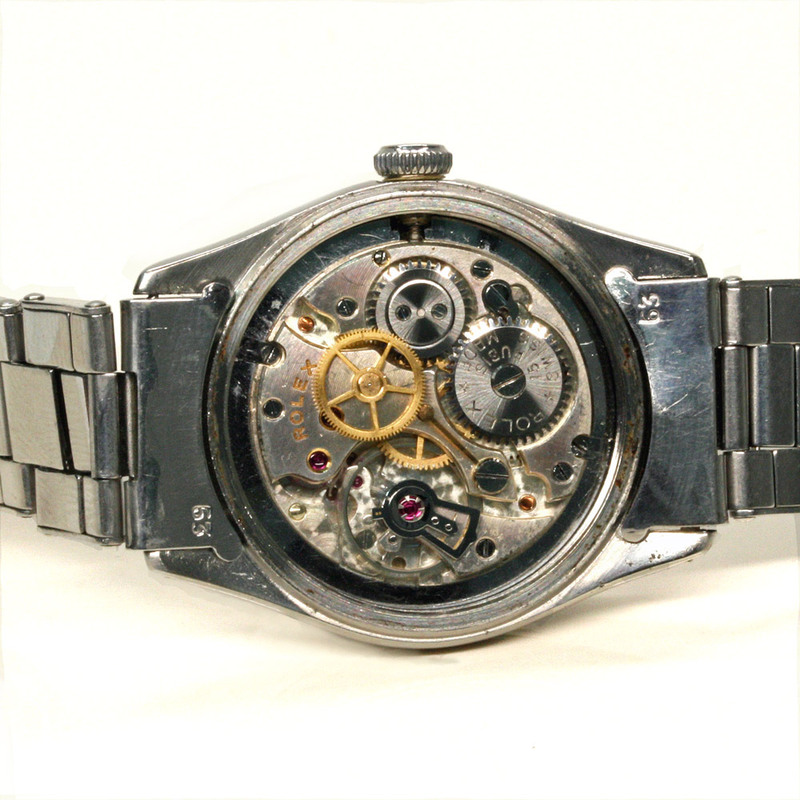 It also has the centre sweep seconds and all of this is housed in the Rolex Oyster case with its original Rolex screw down crown. 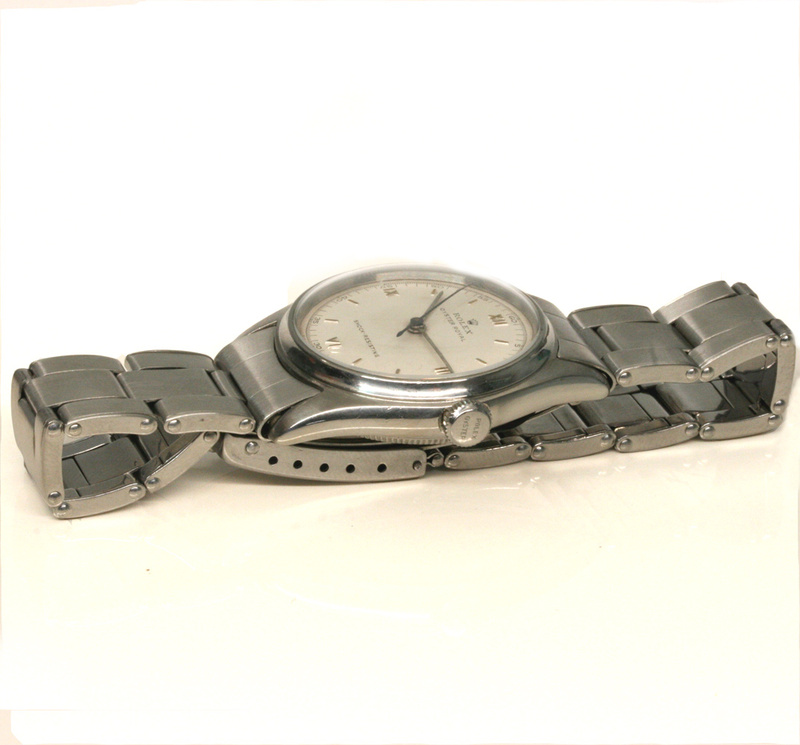 The Rolex Oyster watch case measures 32mm across plus the Rolex screw down crown and surprisingly doesn’t appear as small on the wrist as you might imagine. Inside the manual wind Rolex movement has just come back from a complete service, runs perfect and comes with our twelve month warranty. Both on and off the wrist, this vintage Rolex Oyster Royal watch will have you admiring it for both its elegant and timeless look and the way the dial has achieved the most perfect patina to it. 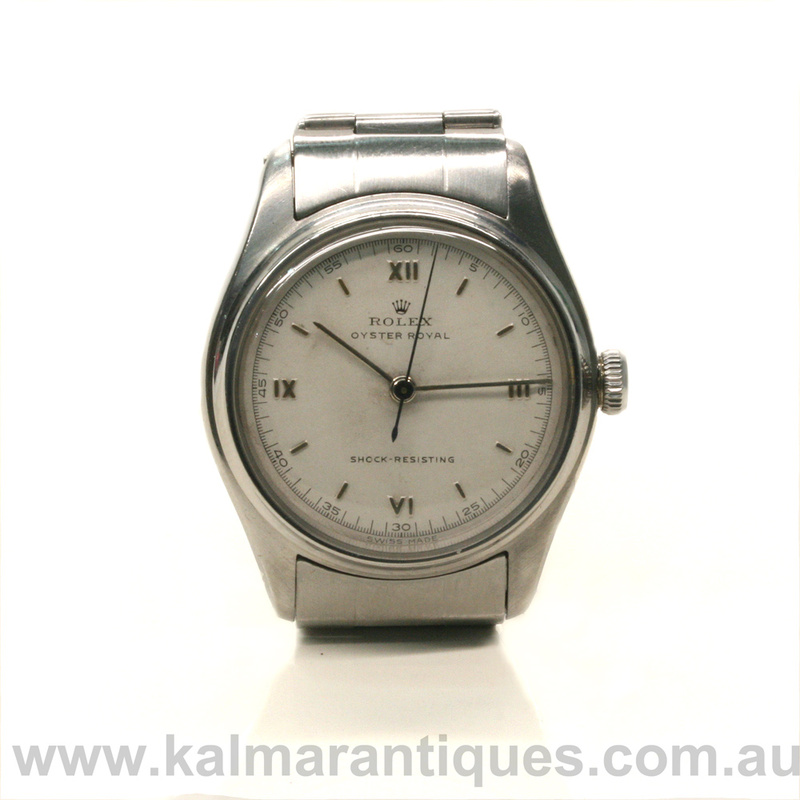 A real classic vintage Rolex watch from 1941.